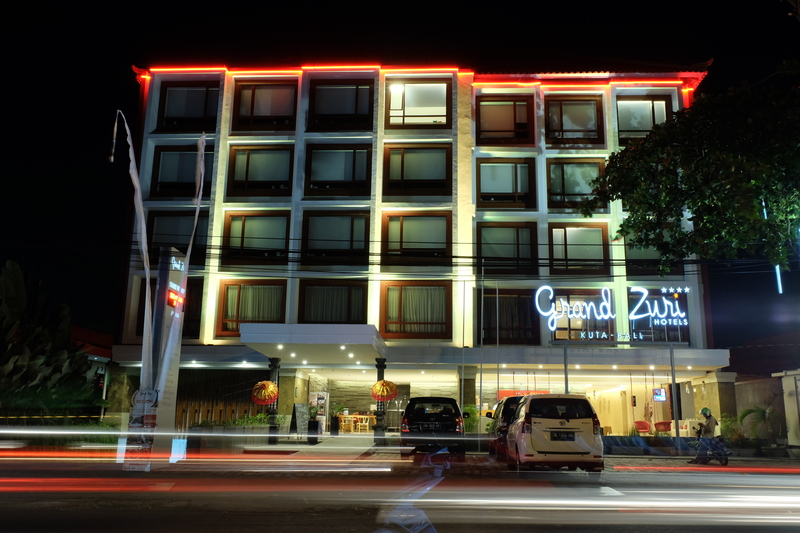 Among many 4 stars hotel in Kuta, Grand Zuri Kuta become a new comer to this strategic area. 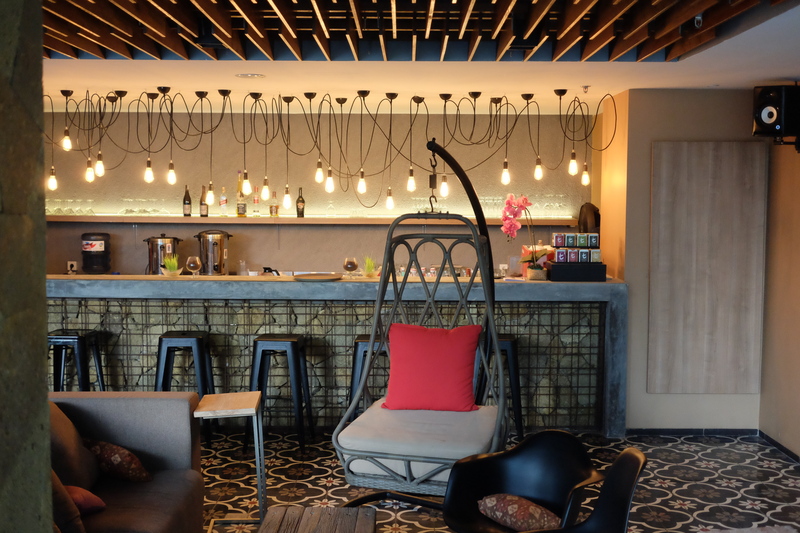 After opening several hotels through our Sumatra and Java, Zuri Hospitality Management expand their wings to Bali and open their 1st hotel here. 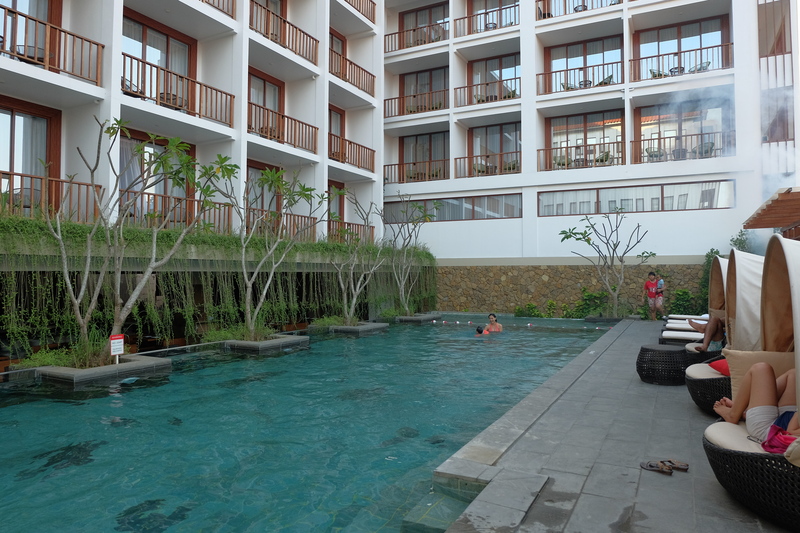 Strategically situated in the midst of popular Kuta area and business district with easy access to Kuta Beach, Legian, Seminyak and Denpasar area makes this hotel suitable for business traveler or leisure traveler who want to explore Kuta and Seminyak without the hustle bustle of the traffic. 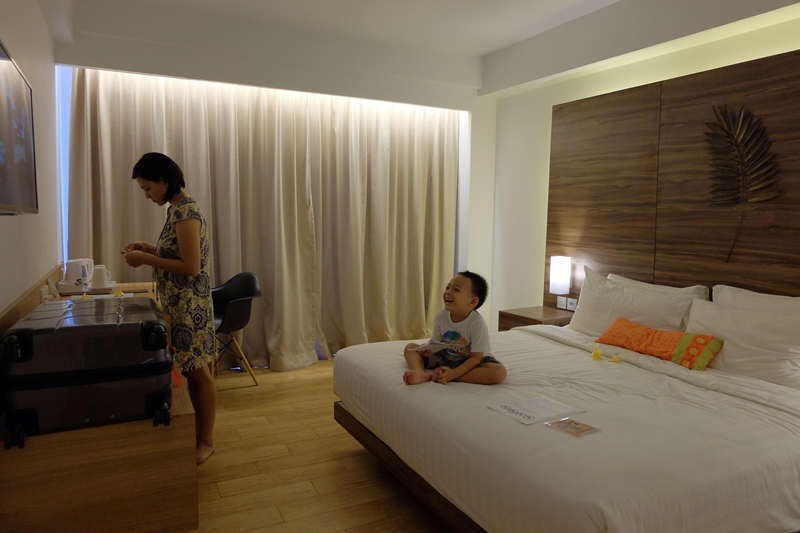 After simple and easy check-in procedure, we reach to the 3rd floor and headed to our Executive Deluxe Room and find a quite spacious contemporary design room with comfy king size bed, desk, and LCD tv with satellite channel. It also has a balcony overlooking to their pool. Room amenities include safe deposit box, coffee and tea making facility also a minibar. The en suite bathroom only has shower, but it’s quite spacious not the crampy kind of shower box. The bathroom door also works as the closet door, hmm quite efficient. Feeling hungry? Just roll to Cerenti Restaurant located on the lobby floor next by the pool. 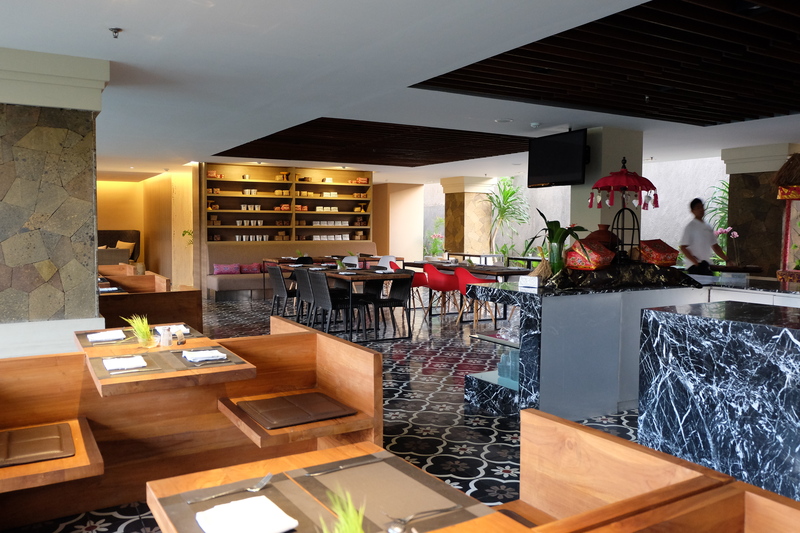 Cerenti is their all day dining restaurant that serves wide selections of Indonesian and International menu, it also specialize in traditional Balinese food. 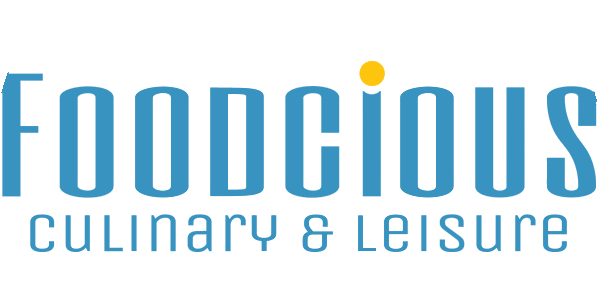 The restaurant itself has an indoor and alfresco area overlooking to their pool. 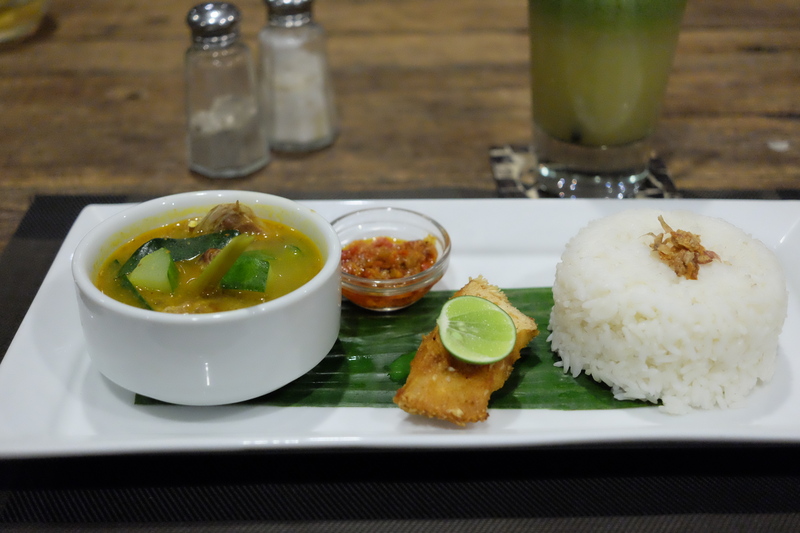 Some menu that we tried here are: Balinese Fish Soup (75K) is a traditional Balinese fish soup with spicy and tangy taste with herbs that really brings up my appetite. 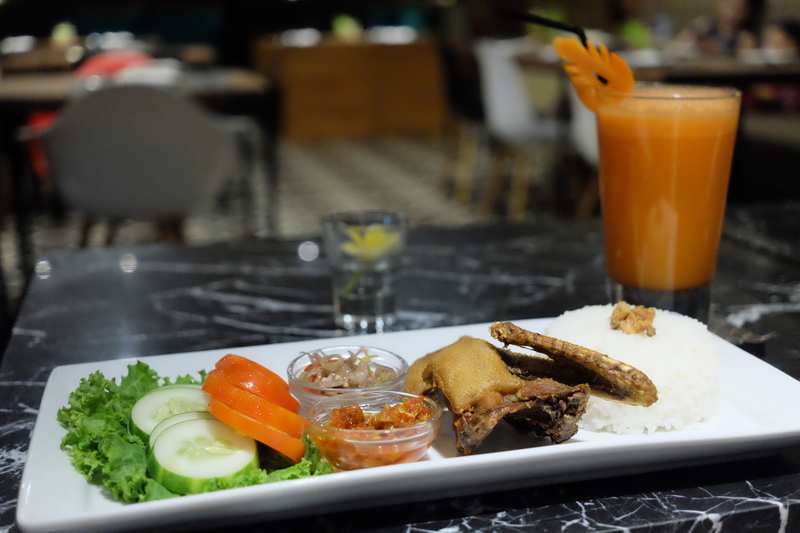 Bali is famous for their crispy duck, here at Cerenti they also serve crispy duck named Bebek Kuta (75K). To accompany my meal, I tried Mentari Pagi (40K) juice consist of guava, choy sum and pineapple that has a refreshing taste. And Fabulous (40K) that made from carrot, pineapple and lime juice. I’ve mention that this hotel has a pool right? Well unlike any other pool, this one has glass wall on each side of the pool. Which makes it fun to do some photo shoot while we swim :). 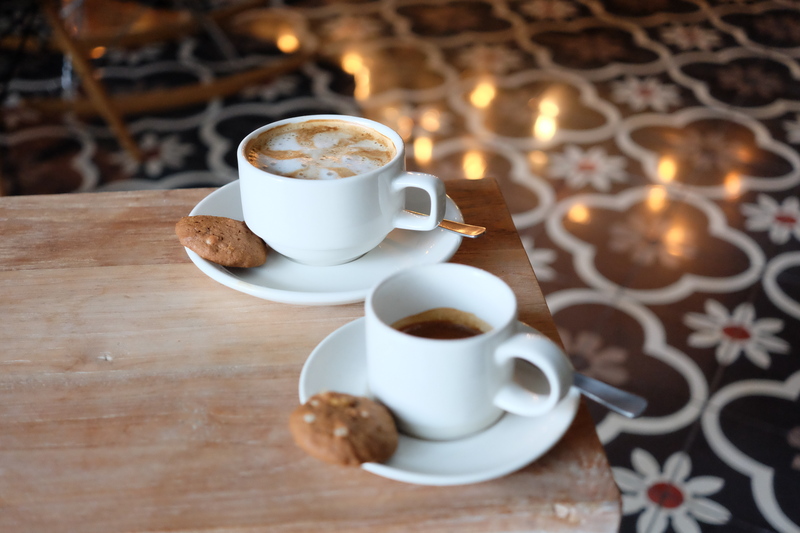 After spend some time at the pool I crave for some caffeine, just head to Zuri Lounge next to the pool where they serve coffee from local bean and enjoy a relaxing afternoon.